Francisco Lindor, Cleveland Indians – This is the second consecutive season Lindor has been named a Silver Slugger. Lindor posted career highs in runs scored, tying a major-league high with 129, homers (38) and RBI (92). According to MLB.com, Lindor became the first shortstop in MLB history with at least 35 home runs, 40 doubles, and 20 stolen bases (stole 25) in a single season. Francisco participated in an Under Armour Baseball Factory National Tryout as well as the Team One South Showcase in 2009. Nolan Arenado, Colorado Rockies – Ho-hum, another year with a Gold Glove and another year with a Silver Slugger for the Colorado Rockies dynamic third baseman. This is Arenado’s fourth-straight award after hitting 38 homers, driving in 110, while slugging .561 (good for third-best in the National League). Arenado participated in the Ryan Lemmon Sophomore Showcase and Team One West Showcase in 2007. Christian Yelich, Milwaukee Brewers – Yelich, who very well could be the National League MVP, led (or tied) all National League hitters in most categories, hitting an NL-best .326, tied for third-most in homers (36), second in RBI (110), while also leading the NL in slugging (.598) and OPS (1.000). 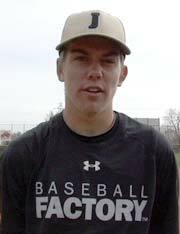 Yelich performed in a 2007 Baseball Factory National Tryout in Azusa, CA. Remaining awards still to be announced include: AL and NL Rookie of the Year (November 12th), AL and NL Manager of the Year (November 13th), AL and NL Cy Young (November 14th) and AL and NL MVP on November 15th. These three superstar athletes first came to a Baseball Factory event to display their skill set and to receive an evaluation, alongside their peers from across the country. Now, it’s your turn to get on that same path to greatness. Find an Under Armour Baseball Factory Skills Evaluation and National Tryout by visiting our Events Schedule page and register for an event near you!